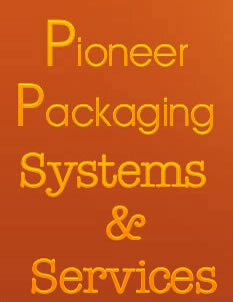 Pioneer Packaging systems and services is the leading industrial packaging solutions providers and the authorized distributor of ITW signode India Ltd part of Tamil nadu (Coimbatore, Salem regions)and Kerala. ITW Signode’s comprehensive packaging solutions include products and services. Product offering encompasses strapping, wrapping, taping, and protective packaging consumables, tools and equipment to apply the consumables, and parts. A wide range of services include on - site packaging, on - site maintenance, preventive maintenance, AMCs, field engineering, package testing and packaging design, audit and consultancy. ITW Signode has partnered the Indian industry for over two decades to continuously upgrade pack styles and packaging processes to international standards. The Company offers customer specific packaging solutions and dedicated service support in diverse sectors that range from metals, automobiles, FMCG, white goods, paper, engineering, building materials, textiles, fiber, engineering and pharmaceuticals. Signode, a business unit of ITW, is a multinational manufacturer of packaging products with a firm commitment to R&D and an enviable reputation of working with customers to save millions in material and labour. ITW Signode in India is a division of ITW India Limited, a subsidiary of Illinois Tool Works Inc., USA (ITW).